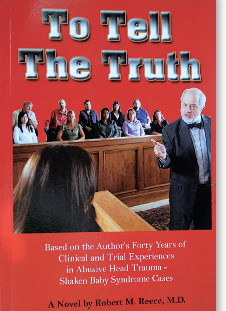 Dr. Robert M. Reece of North Falmouth will be giving a talk at6:30 p.m., Wednesday, Jan. 18 at the Sandwich Library on his books, which combine his medical expertise with fiction. "Goodbye Bad Times," which is scheduled to be out by mid-month, " is about Tom Barrett, a trauma surgeon who returns from the Middle East Wars with Post Traumatic Stress Disorder. He enters a clinical trial for a new drug designed to erase bad memories, but an abrupt change occurs in the patients receiving the drug - and Tom becomes embroiled in a high stakes investigation to determine the cause. Dr. Reece is executive editor of The Quarterly Update and a retired clinical professor of pediatrics at the Tufts University School of Medicine.